Emily Wells writes true stories (journalism) and obliquely true stories (fiction). She has contributed to Vogue, ​the Los Angeles Review of Books, Flaunt Magazine, and Artillery Magazine, among others, and is completing her MFA at UC Riverside. She lives and works in Los Angeles​. There’s a lesson in this that might be too awful for us to want to learn, which is that death takes from us not just our lives, but also our right to insist upon a particular version of those lives. I like Wells’ article, and I agree with the notion that art should not be diminished by our society obsession with real authors (should we say “celebrities”?). On the other side I think that a journalist was just doing his job in trying to find the real Ferrante. 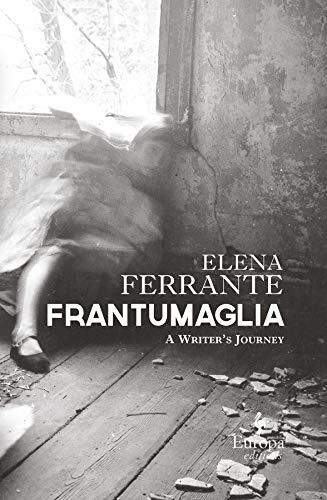 I’m happy Ferrante is so popular outside of Italy, but as an Italian I don’t find her writings so special, honestly, compared to other excellent writers we have. In the end, I find ironic that her hiding her real identity has made her a “celebrity” much more than other colleagues who just revealed her real selves with no nom de plume. My appetite for non-fiction is pretty much equal to my appetite for fiction. I read memoirs, essays, and observations as I would read a novel, keyed into the author’s voice. When I read history, though, I read for the information, as though I’m auditing a course at my local community college. I underline the important parts, I try to process the information and place it in context. Sometimes I take notes. I read history when I want to know the facts, and that’s why I love John Keegan. His writing is clear, and he brings unassailable expertise to his books. I first discovered him a while back when I read part two of Ian McEwan’s Atonement in which the evacuation of British forces from France in the face of German invasion is described. McEwan’s vivid description of the grim realities of a small and somewhat forgotten event inspired me to read about World War II in search of more small, somewhat forgotten events. My knowledge of history comes from high school, a few courses in college, the History Channel, and a scattershot array of books I’ve read over the years. I know the big picture, the facts that we are all supposed to know, but, in the case of World War II, I didn’t know the nuances, the details, and campaigns and events that textbooks push to the background in the interest of smoothing out the narrative to assist in the learning process. I found that The First World War neither skimped on the specifics nor did it overwhelm with minutiae. I learned about the Greek campaigns and just how close the Allies were to losing the war. I learned about the British evacuation from France, and, in the end, understood the chronology of events and how all the pieces fit together. As an added bonus, Keegan every once in a while would pause the narrative to describe the realities on the ground, to explain what it was to be a soldier (or a general) fighting in this war. These invaluable nuggets are what make the book great. Naturally, I began adding Keegan books to the queue. The First World War is another great book, and a must read for anyone who wishes to have deeper knowledge of that cataclysmic event. Some fascinating insights: WWI represents a dividing line in history, and much more than the events that preceded it, WWI is responsible for shaping the world order of the last 90 years; this truly was a global war with campaigns in Africa and Asia; though the terrible nature of trench warfare is well-known, Keegan’s descriptions of the realities of the life of a WWI soldier are indispensable. If you are interested in military history, you won’t be disappointed by John Keegan.